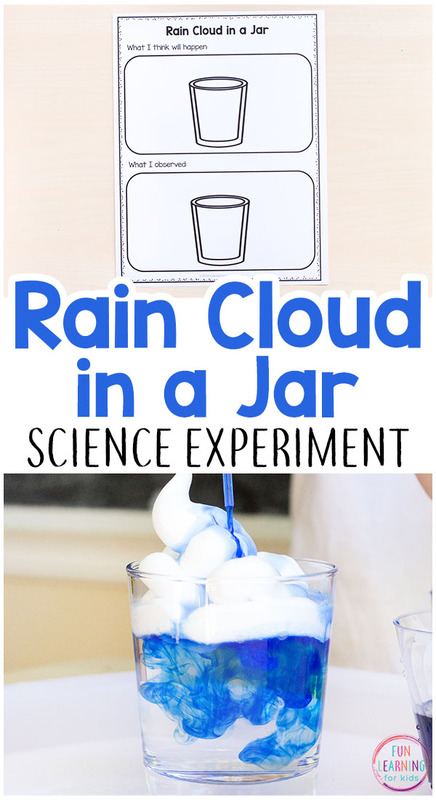 This rain cloud in a jar is a weather science experiment gives young children a chance to explore clouds and rain in a hands-on and engaging way! 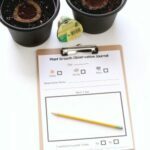 If you are looking for a simple and easy science activity to do with the kids this spring, this is perfect for you. 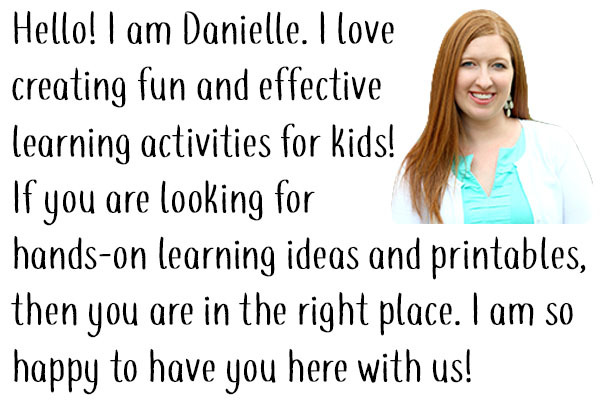 Plus, it includes free printable recording sheets for kids in preschool and elementary! 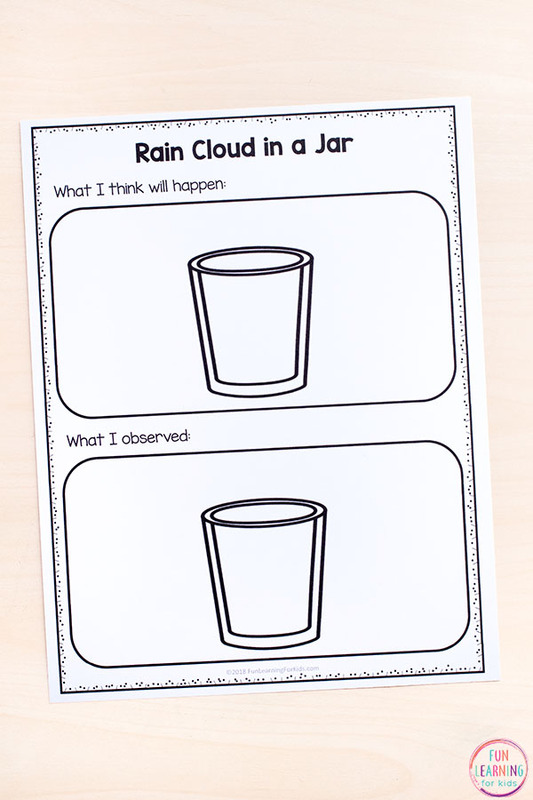 This classic weather activity for kids is favorite in classrooms and homes. I did a similar version of it when we did this clouds and rain experiment a while back. 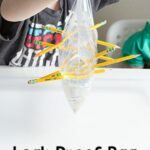 My version lasts a bit longer and is great way to incorporate additional fine motor practice, but I wanted to give the classic a try too. I am not sure why I waited so long. It was super easy to do. We actually did it several times in a row. My kids really enjoyed it! Plus, I have printable recording sheets for preschool and early elementary students and another one for older students. 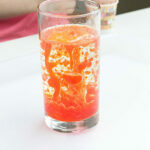 In a small cup, mix the food coloring with some water. Fill the large jar with water until it is about 3/4 full. Place the jar and the cups of colored water on the table. Place a pipette in each cup of colored water. 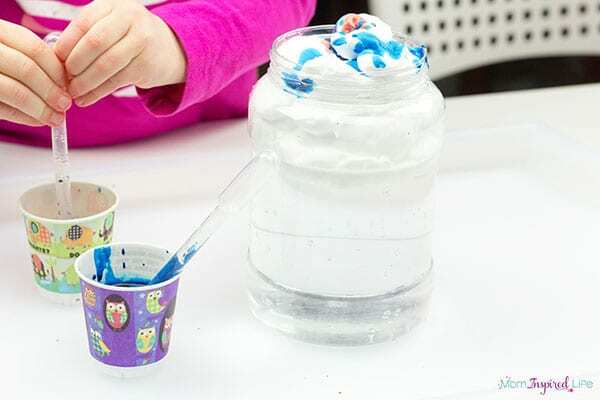 Right before the kids are ready to do the experiment, spray a bunch of shaving cream in the jar until it is just a small bit above the top of the jar. 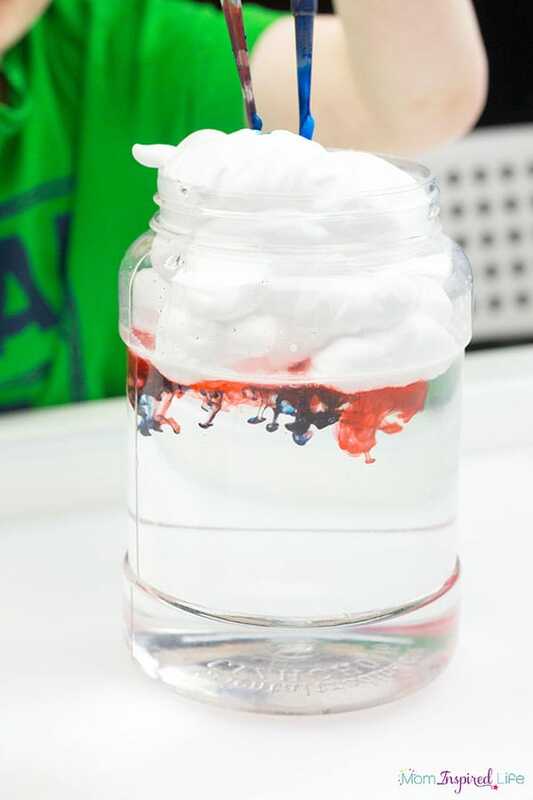 Ask the kids to pick up some colored water with a pipette and squirt it on top of the shaving cream cloud. Repeat this step one or two more times, but pay close attention to what is happening below the cloud! 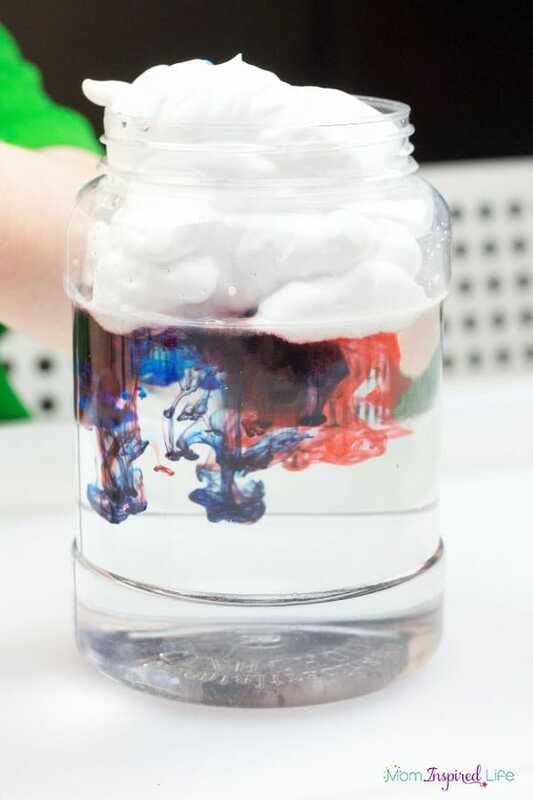 The colored water will begin to seep down through the shaving cream and into the water below. Just like rain! 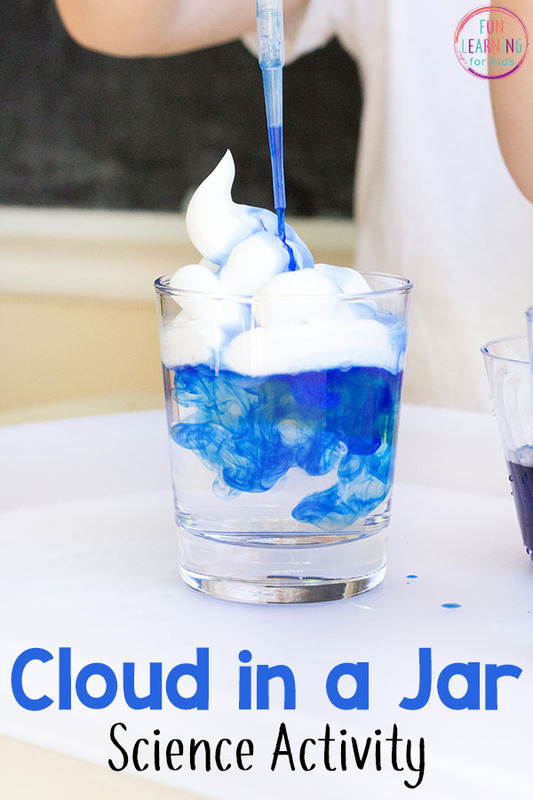 The shaving cream represents the clouds and the water represents the air. The colored water represents rain. As the colored water saturates the “cloud”, it gets heavy and eventually is so heavy that it can no longer hold the water. 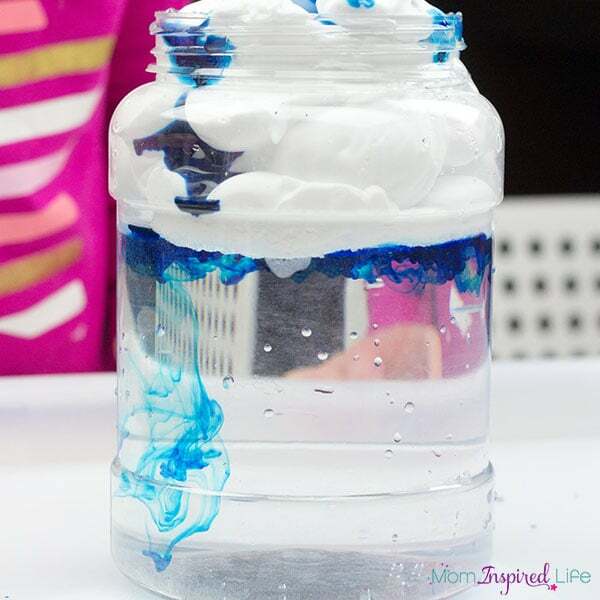 It “rains” down into the jar – through the “air.” It is just like real rain falls through the air. 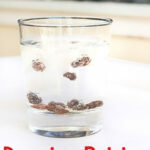 This was a fantastic simple science activity to do with the kids (3 and 5). 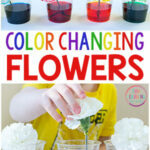 So I think this would be a great one to do in the preschool classroom or at home with your own kids. 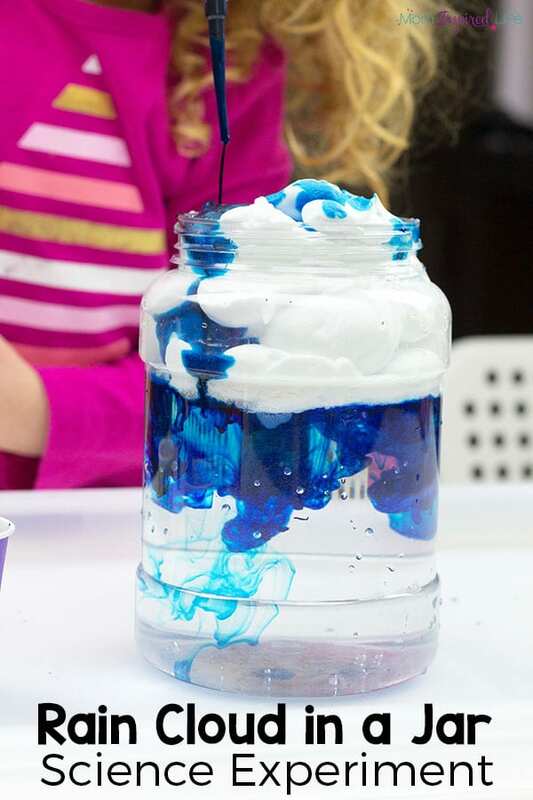 If you are doing it with a class of students, I would suggest setting up several jars and cups of colored water so that each child has a chance to add some colored water to the jar. 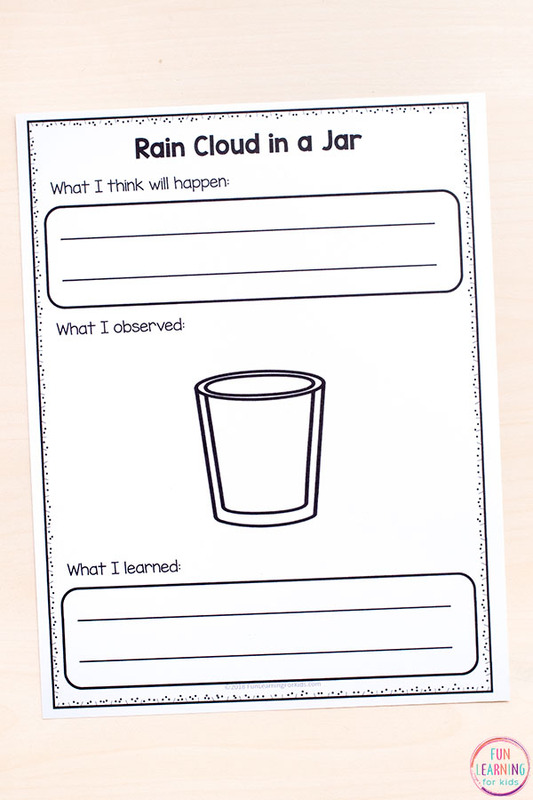 Click the button below to get the free printable recording sheets that go with the rain cloud in a jar science experiment! 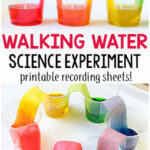 Check out these other neat science experiments for kids!